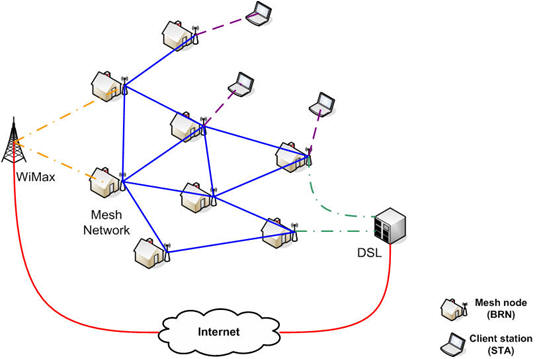 Wireless multi-hop mesh networks play an increasingly important role as backbones for sensor networks and as community networks that provide Internet access in urban areas. The MIT Roof Net project has demonstrated that it is possible to supply a large city, such as Boston, with IP network access over an 802.11-based wireless mesh network. The Berlin Roof Net project investigates if a similar (even larger) network can be setup in the city of Berlin and whether such a network can be build in a completely self-organizing/self-configuring way. The Berlin Roof Net project is run by volunteer students of the Computer Science Department at Humboldt University Berlin. Mesh nodes are run independently by the students with their own equipment. News: Berlin RoofNet goes Open Source. All sources are accessible via SarTrac. A community network must be usable for inexperienced end users; thus self-organization is essential. On the one hand, we are working on protocols for ad-hoc wireless multi hop mesh networks, where the client is fully freed from such mundane tasks as IP configuration, etc. On the other hand, the community mesh network itself shall be fully self-organized thus no operator or provider is required. 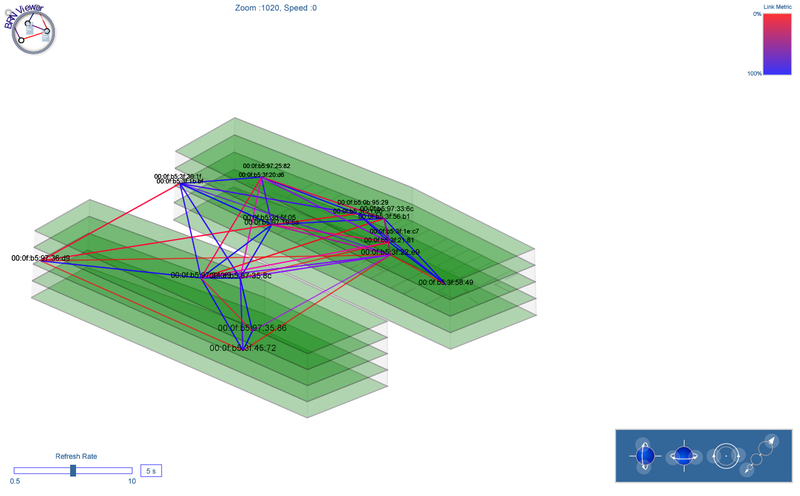 Realizing a wireless mesh network turns out to be non-trivial. One of their biggest challenges is the insufficient scalability with increasing number of nodes and users. The most important reason for this phenomenon can be found in the structure of a multi-hop network: a node is responsible not only for the transmission of its own data, but also for forwarding packets of other nodes. No less significant is the fact that wireless network nodes in close proximity interfere with each other because they share the same medium. With the help of our Berlin RoofNet testbed we can develop, test and evaluate new routing protocols for wireless multi-hop mesh networks. Further information about BerlinRoofNet Project can be found here BRN Testbed. If you have any questions please write us an e-mail to zubow@informatik.hu-berlin.de. This page was last modified on 18 November 2010, at 10:08.